"When my partner was diagnosed with terminal cancer, Nada became an instant resource and good counsel for helping me deal with the day-to-day challenges of being a caregiver. Her compassion, spiritual and practical guidance was invaluable. Forever grateful." "Nada was profound support to me... ​She was with my friend during her final breaths, which was of great relief to both myself and her family. Her calm, patient and intuitive nature was a light to myself and my friend during our time of need. I am forever grateful." Nada Frazier facilitates Death Café of Northeast Florida, where we gather with curiosity and respect to talk in a confidential and relaxed environment about whatever you wish to discuss regarding life and death. The objective of a Death Café is to “increase awareness of death with a view to helping people make the most of their ‘finite’ lives.” For more information, see www.deathcafe.com or EMAIL NADA. Join Nada Frazier in exploring spiritual teachings and guided meditation. Join Nada Frazier in an interactive playful discussion of Sacred Symbols. • Private Residence - for more information EMAIL NADA. 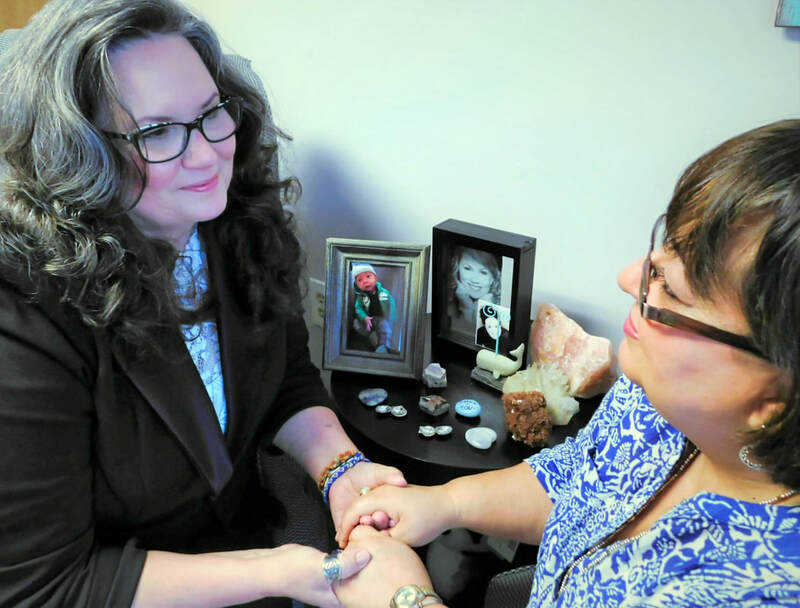 Join Nada Frazier and Unity of Jacksonville Beach in hosting a sound healing chakra experience. Nada Frazier will be available between 10am - 5pm for questions regarding becoming an end-of-life doula and how an end-of-life doula can support you. This workshop will focus on exploring and beginning preparations for end of life and caregiving. Public invited to attend. Certified EOL Doula Nada Frazier will answer questions about what an end of life doula does, who they serve, and how one becomes an end of life doula. Discussion will include training programs, obtaining certification, the ongoing end of life doula movement, and networking. Bring your questions for this casual, interactive conversation. NO CHARGE for attendance. Refreshments provided. Summer 2019 class in Osher Lifelong Learning Institute (OLLI) Class "A Death Doula's Guide to Living Consciously by Exploring Death." Nada Frazier will serve as an instructor for University of North Florida's OLLI adult education program. When we explore our death, we more consciously live our lives with joy and peace of mind. This is an engaged discussion class.